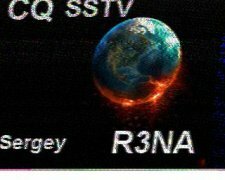 SSTV stands for Slow Scan TV. In the amateur radio world, this allows you to send images as data to each other ober amateur radio. 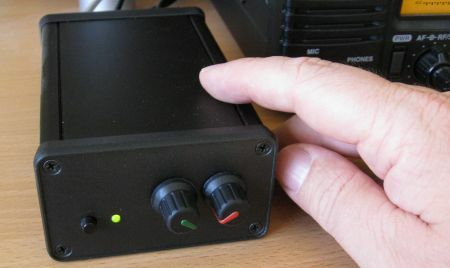 To send and receive messages, you need to connect your amateur radio rig to a computer, and then use software to send and decode images. It’s very rewarding being able to receive images from other amateurs around the world, and of course, the images are also a QSL card confirming the exchange. Thanks to Paul M0CNL for suggesting that it would be handy to have access to some test SSTV audio files. To help out, here are some Essex Ham SSTV audio files, recorded in a couple of the more common formats. If you’d like files in other formats, please add a comment at the bottom of the page. Right-click on the filename and select “Save As” to download the sample files, or play them from the mini-players. 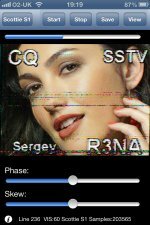 If you’re not able to connect your radio to a computer, but you have a smartphone, you can get yourself an application that lets you decode and view SSTV images. The two screenshots above are taken from the SSTV app for the iPhone and iPad. It’s a case of downloading the app, and holding it to your radio’s speaker. Tune your rig into a common SSTV frequency, such as 14.230MHz, and hold the phone’s mic to the radio’s speaker. If you think SSTV might be for you, give it a go. If you’ve given it a try, please add a comment below to let us know your experiences. I have a SCS PTC-II would love to use it for SSTV..any help. IN AND OUT.?? 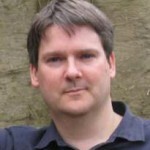 AND OR NEED ANY OTHER INTERFASE,,,.rEASON FOR USING ptc ARE THE GOOD SENSITIVITY AND FILTERS AND COMANDS.. ETC. OVER MOSCOW…?? ?OH WELL.. THE BREAKS…. mod mike and or Modulator Plese HELP and tks..
We will do some local tests on VHF UHF first fm will that be OK and or SSB Please advise…SOrry many questions. I have an icom 718, and use the ACC socket, which works well, and doesn’t tie up the mic socket. If ACC is working well for you with packet, try it with SSTV. 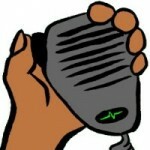 TX level is important and make sure the signal isn’t compressed (no ALC). On VHF, go with FM, not SSB. Well i had invented the mechanical SSTV glow paint monitor . The idea was to copy the result of the p7 crt used in th early days of SSTV to view pictures scanned on this long phosphor persistence CRT,but do it mechanically and with junk box parts . I am not sure if you can view the pictures and odd video if your not a member of the other forum but this is the link to my project. How its done and how i came to getting it to work was a long process the idea was right but i needed to get my head around the correct scanning and how to modulate the laser . Ok the drum is painted in Glow paint i found the type shown in the last few posts was much better than what i started with as its finer the first type i used was grainy so not great for fine detail. I used a Uv laser to charge the glow paint the amount of time the paint is charged will glow depends on the intensity of the laser ,think i used a 20mw but all that power is not needed. IT was a great project and i am proud i got it to work my very own invention. I have ICOM IC-718 and I have connected my computer to the radio using SIGNALINK USB. Yes, the SignaLink USB works with SSTV. I am using it as I type…..
Where are my manners, Pete, excellent site. It truly helped me to get into SSTV. I was wondering how SSTV is used properly. This is because OFCOM specify that you are not allowed to broadcast to anyone listening apart from CQ. 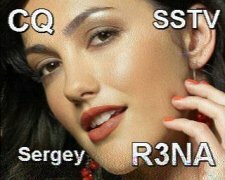 If you take a look at some of the screenshots, you will see that the initial SSTV images include a CQ in the image, and give the callsign. 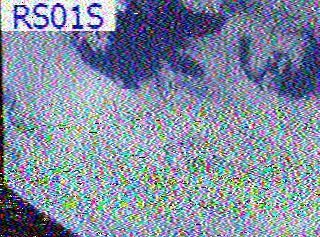 I am working on a puzzle that requires the solvers to decode an SSTV .wav file. But the reviewer of the puzzle disallows the need to install .exe files. 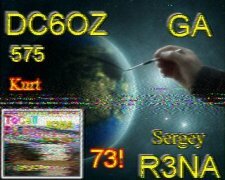 Does any of you know if there is an online SSTV decode webpage?